If you follow me on Facebook, you heard the exciting news that my Cousin, registered dietitian, Marian Davidove BS, RD, LD/N, will be writing a monthly column on Eat.Live.Blog sharing her professional opinion on all things food related! I am ecstatic for this collaboration, and excited to share an even more balanced view on food issues here on the blog. 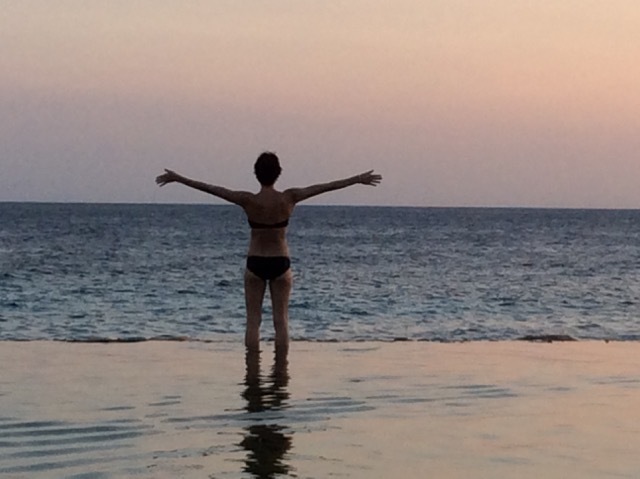 We are starting out with a bang….as Marian shares a very different view than the one I have on the Whole 30. I am a Registered Dietitian with 25 years of professional and personal experience. I earned my degree from UCONN “Go Huskies” and have been passionate about food, healthy, and my community ever since. Eat.Live.Blog is the work of my cousin Renee who has shared her passion, favorite recipes, and culinary adventures with her readers in Boston and all over the world. We grew up together influence by our international families eating homemade delicious and exotic creations. Renee and I teethed on biltong which is dried Springbok, lapped up Hungarian Paprikash with Spaetzli, and asked for second helpings of Lebanese green beans. Our motto was S.O.S. (Stretch or Starve). Our holidays were experimental, joyous, and packed full of flavor. We definitely ate and lived… on a shoe-string budget. But, that’s another story. 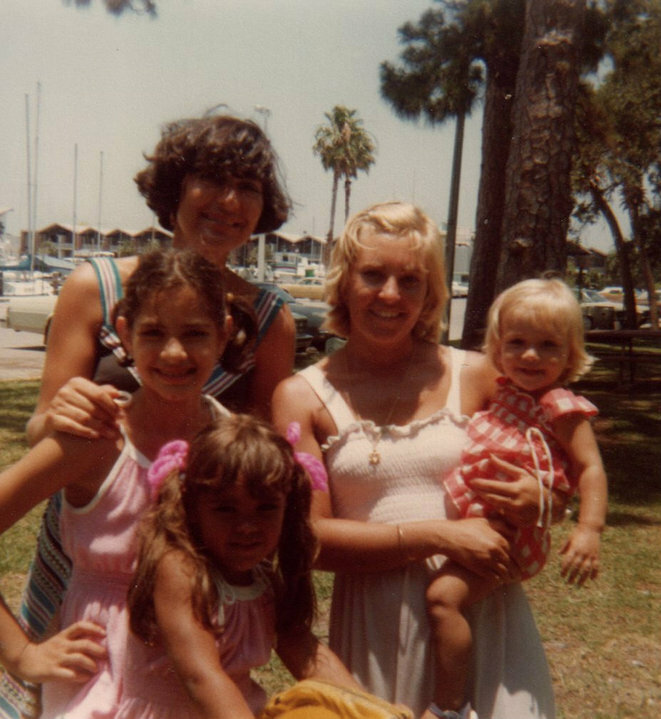 Circa 1978 – Cousin Marian is the middle brunette with her mom, Aunt Peggy. Renee is the baby blonde w/ my mom, Sue. Her sister, Debbie, is the little brunette with the beautiful pig tails. When Renee told me she had completed 40 days on the Whole 30 challenge, I congratulated her for reaching her goal. In my practice, I have learned setting a goal and achieving it is probably the most important part of self-improvement. It’s choosing the right goal that is the hardest part! Well the Whole 30 program is wildly popular right now with a large following. This program is a modified fast based on a Paleo or Atkins type platform. Several food groups are restricted including dairy, grains, legumes, sugars, and alcohols. It works because due to the food groups eliminated, dieters often eat fewer calories and definitely eliminate any unnecessary calories from alcohol, sugar, and processed foods. What’s left are fruits, vegetables, meats, fish, eggs, nuts, and nut oils. These food groups contain healthy fats, complex carbohydrates in the form of dietary fiber, and protein. Chances are even the healthiest Americans are probably not eating enough fruits and vegetables! So kudos there to the authors of Whole 30. The program also works because, as subscribers to the online website, followers receive tons of social support, recipes, forums to express their success and challenges, and feedback. It gives people a feeling of belonging to a community and the encouragement to continue on their journey. I believe these are positive aspects the program. I also adore that the Whole 30 ethos embraces home cooking and does not suggest fake foods to take the place of restricted foods. Participants are instructed to make shopping lists, plan ahead, prepare meals at home, and be creative. These are powerful tools for eliminating excess sodium, artificial ingredients, and preservatives. Also I love my cousin for talking about Probiotics and suggesting a daily supplement. No dietary war will be won without the help of our friendly warriors, the gut bacteria we all need to have a healthy immune system and GI tract. Being an expert in the field of Nutrition, I have to offer up a plateful of balanced advice at this point. Beware! A program like Whole 30 is not for everyone and it is not forever. There are several inherent hazards to this approach. I will touch on the most important ones now. This diet is restrictive and leaves gaps in nutrition such as Vitamin D, Folate, B vitamins, and Calcium. This diet encourages a negative feedback cycle as participants must go back to the beginning and start over after even one slip-up. This diet does not encourage a positive relationship with food. This diet may trigger addictive weight loss cycles in people with other issues such as anorexia or obsessive compulsive disorder. This diet may cause feelings of deprivation and true carbohydrate deprivation which will ultimately result in over-indulging later on. This diet does not promote environmentally sustainable foods and lends to our growing carbon footprint and environmental demise. As a Registered Dietitian, it has been my sole purpose to help my clients and the community use the information and resources available to them to make the best decisions for their own lives. Each client is individual and special and no two people have the same relationship with food and eating. I see myself as a food Sherpa guiding willing adventurers through the Mt. Everest of Nutritional Information. So please feel free to leave your comments on this post with any of your thoughts or suggestions, experiences, and stories. I will either reply, or write an entire post about your question. I also urge you to talk to your local Registered Dietitian. To find a directory of Dietitians near you, please visit http://Eatright.org. This may seem expensive at first, but it will save you thousands on memberships, missed days of work and play, health care bills, and most of all your positive relationship with food, our environment, and your community. 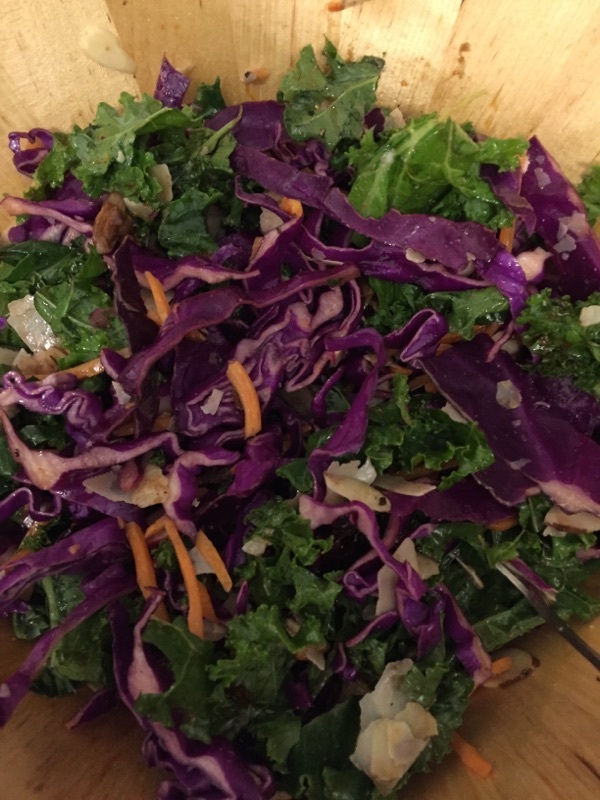 This entry was posted in Random and tagged dietitian, health, nutrition, nutritionist, whole 30 by Marian Davidove. Bookmark the permalink. For the past forty years I have been eating a nutritionally balanced, fibre rich diet and at the age of 70 I feel as I did when I was 45 (this because at 45 I believe I was truly at my prime). I fully intend to continue with this regime for the rest of my life.